Well, my borthday is next week, so I thought I would celebrate a bit with Tiddly Inks! It’s Fab Friday, so the DT has some inspirational cards simply to get you inspired to craft! No challenges, no pressure – just crafting fun! And that is a perfect way to celebrate my birthday. This little beauty is called Willow the Birthday Fairy, but what I love about her is that she would make an awesome Christmas fairy too! Colour her up with some traditional Christmas colours and you can take her into different seasons – just like a good pair of shoes! I think my favourite part of her are the wings – just a bit of BG11 and C1 topped off with a bit of Stickles. So easy, and lots of fun dimension. 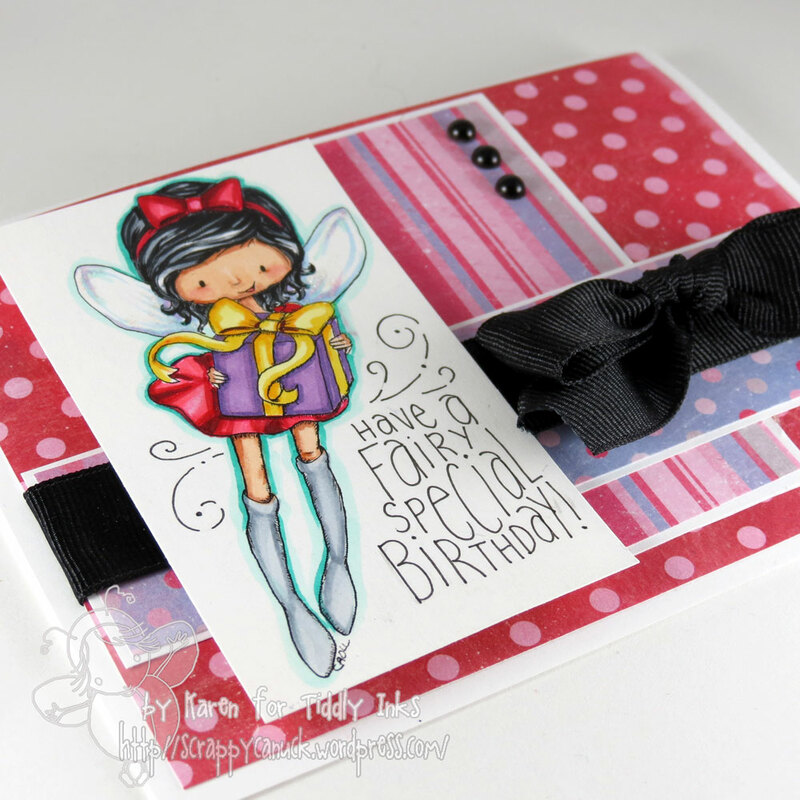 Well, here’s to getting crafty this weekend Don’t forget to pop by the Tiddly Inks blog to see all the great cards the DT cooked up for today! Thanks for stopping by! 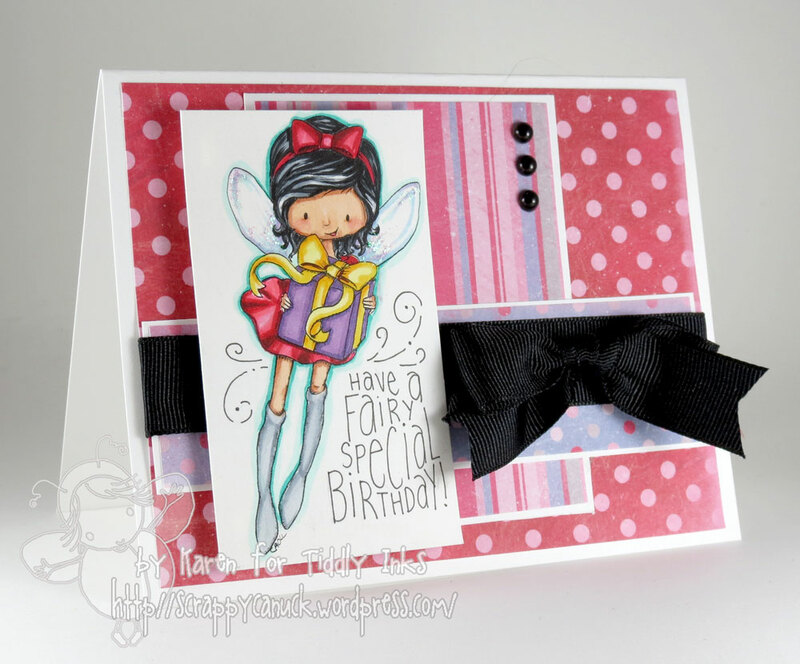 This entry was posted in Cards, Tiddly Inks and tagged birthday, cards, fairy, tiddly inks, willow by Scrappy Canuck. Bookmark the permalink.